The just-released 2018 Population and Housing Census (PHC) preliminary results have shown that the population of women in the country has slightly decreased from 2008 census’ 52 percent to 51 percent. National Statics Office (NSO) is yet to explain the decline of females from 52 percent in 2008 to 51 percent in 2018. But some social commentators have attributed the decline to scientific reasons. On January 10, NSO released the PHC preliminary report which says Malawi now has a population of 17.5 million and the population is growing at 2.9 percent per year. NSO Commissioner Mercy Kanyuka said her organisation is yet to finalise data processing and will be able to find what has led to the decline of the females. “We are yet to finalise processing the data to find out the decline of females. But I can assure you that we will be releasing the information in due course,” Kanyuka said. Health rights activist Maziko Matemba said this might mean male chromosomes are becoming dominant or surviving more than female ones, a hypothesis which has to be researched on. 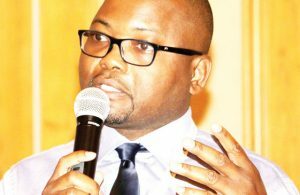 “There is a need for more research on the decline of females based on the outcome of the census,” Matemba said. Deputy Director in Reproductive Health Unit in Ministry of Health and Population Owen Chikhwaza said the decline in females in 2018 census was due to scientific reasons. He said the differences in males and females in the recently released population census are just a random occurrence and could be because of the environment or poverty. NSO conducted the latest PHC in September last year after the 2008 exercise which showed that the population by 32 percent from the previous exercise. The Southern Region has retained its position of having the highest population, followed by the Central Region and the North. For the first time, last year’s census was conducted using electronic tablets. Stakeholders, including Malawi Electoral Commission and national Planning Commission, will benefit from the comprehensive results of the census in implementing activities.